After a mission trip to Togo in July 2015, Katie Walters returned home feeling uneasy. She wanted to help people in the African country she’d just visited...but how? The answer finally came in a dream: she’d start a clothing line centered around the beautiful wax prints she’d seen in every village, and she’d name it after a pastor, Francis Avoyi, and his wife, Benedict, she had befriended in Togo. Less than two years later, Francis + Benedict is a nonprofit employing seven widows who work from the Avoyis’ home producing vibrantly patterned skirts—from maxis to minis—sold in the United States. Walters gives us the lowdown on how she’s harnessed American shoppers’ affluence and influence to provide Togolese women with fair wages and sustainable incomes. 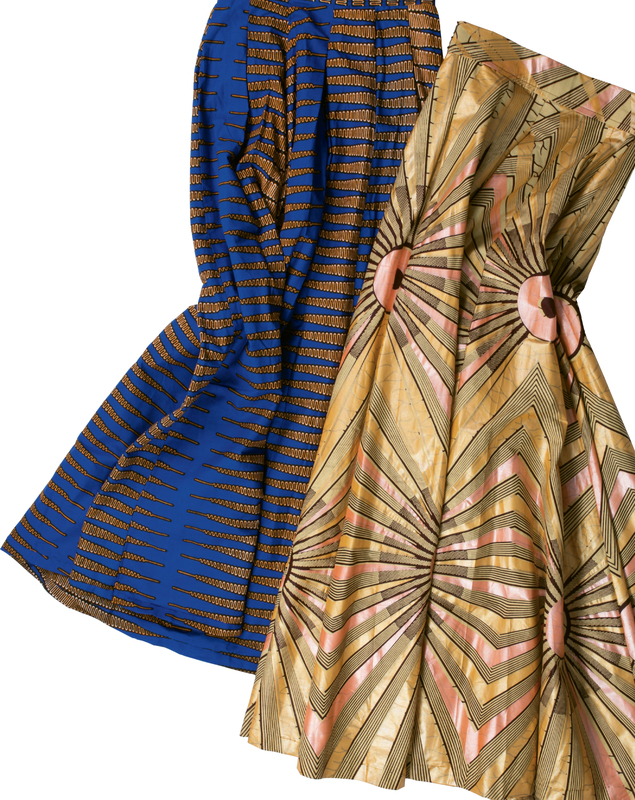 Francis + Benedict’s skirts, including “The Cobalt” and “The Gatsby,” are handmade in Africa. CM: Tell us about your background in fashion. KW: I worked at modeling agencies and in retail through high school and college, but then became a counselor, first in schools and now at Seacoast Church. People who know me say, “Of course you would start a clothing company in Africa,” but the idea had never been on my radar. CM: How does Francis + Benedict operate, divided between two continents? KW: I design the patterns. Our local seamstress, Lynn Pugliese, takes my sketches, creates samples, and goes to Togo to train the women there. Francis and Benedict run everything on the ground and work with the seamstresses on leadership, savings, and goal setting. Profits help community leaders in Togo continue projects that benefit those suffering in poverty. CM: What’s up next for the nonprofit? KW: We’ll be in Charleston Fashion Week’s Style Lounge this month, showing our new spring collection, and a summer collection will be available in August. They’ll include maxi skirts as well as many new midi styles. We’re also designing our first wedding dress for a client! CM: What are your long-term goals for Francis + Benedict? KW: We currently source wax prints from Ghana and Ivory Coast, but within the next few years, we’d like to employ graphic designers and open a manufacturing plant so we can create the prints ourselves, keeping the entire production chain in Togo. Beyond that, we dream of expanding to other countries. Lives: In Mount Pleasant with her husband, Josh, and their children, AnnaJaye (13), Abigail (12), Abel (eight), Asher (six), and Ari (four), plus Goldendoodle Sunday. In April, baby number six will join the family.